“Instant Pages” will be available on Chrome Beta in the next week and for adventurous Chrome Canary users today, with a Firefox version also in the works . 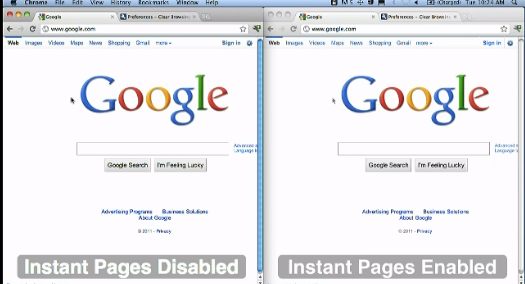 Singhal estimates that Pages and Instant combined will save people between 4-10 seconds of search work per search. Here’s video of Instant Pages in the wild, below.